1. 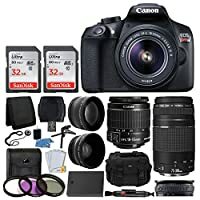 Micro-SD card is not included. A micro-SD card (8GB-32GB) is needed to use it. 2. 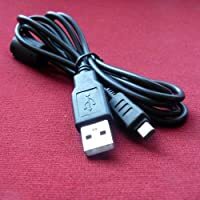 Before your first use, please charge the camera to full power. 3. Spy camera may release heat when using. Don’t panic, this is normal. 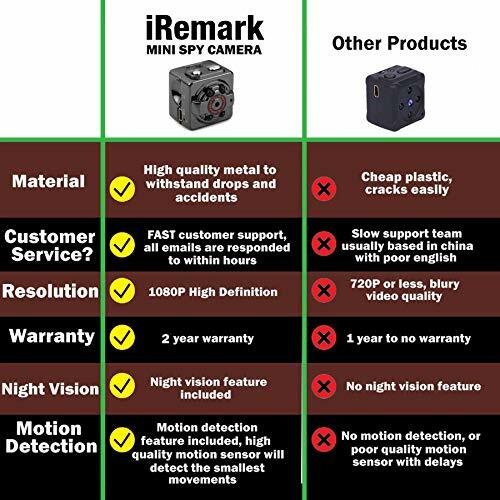 iREMARK, wireless spy camera (thumb sized only), is the smallest portable spy camera wireless hidden on the market. 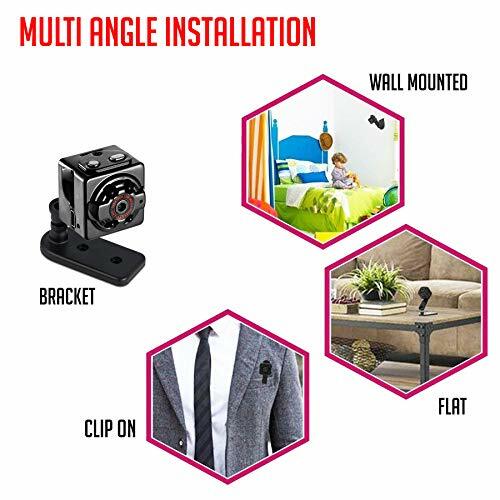 With 1080P resolutions, 140°wide angle lens, 4pcs IR led lights. 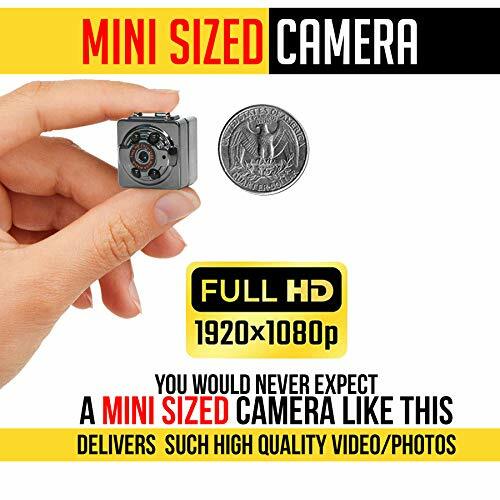 It captures clear and larger visual range images than other mini cameras. 1. With the included camera clip and bracket, you can mount the camera on a desk, on the wall, and even as a pocket or body camera by hanging it on your pocket, just take it everywhere you go to record every moment. 2. 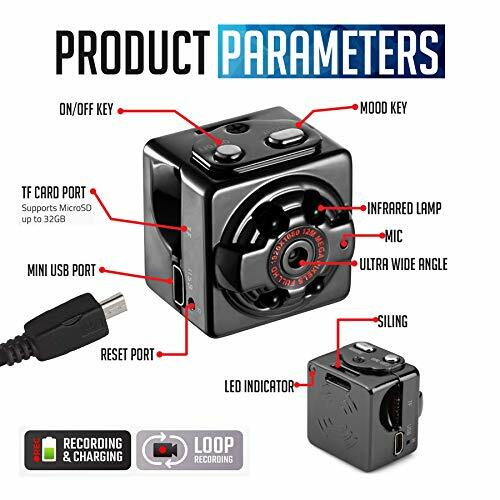 Mini hidden camera with HD quality videos, night vision, motion detector, with audio recorder, great small nanny cam for nursery, easy to attach anywhere. Fully charged - RED and BLUE lights are ON (After the red and blue lights are on, please continue to Charge for another 30 minutes, this will ensure that the battery is 100% full). When the battery is low, and when the T card is full, both RED and BLUE light flashes quickly for 5 seconds, then it will shut down and directly enter the protective mode. The recordings will automatically be saved before the camera will turn off. Please charge the unit as soon as you can. 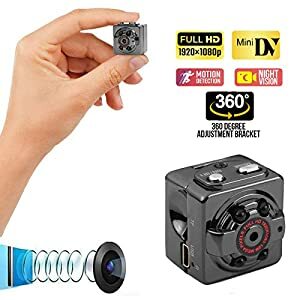 When turning ON the camera without a memory card, RED and BLUE lights flash simultaneously for 5 seconds and will automatically turn OFF. If power ON without any recording, it will automatically shutdown after 1 minute.